I've never envisioned Bronte quite like this! A tongue-in-cheek re-visioning of some of our greatest classics in this comic book compilation available at Drawn and Quarterly (a fantastic name, don't you think?). 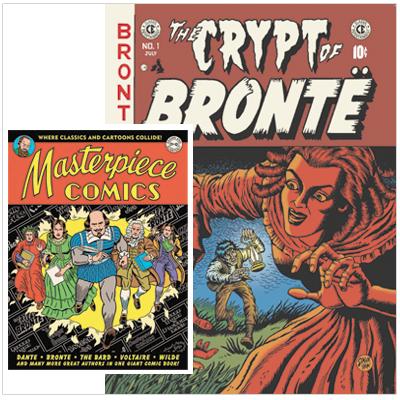 You can get a preview of "The Crypt of Bronte" on their site.